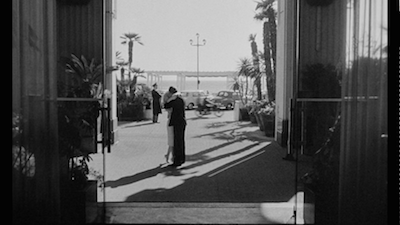 I spent yesterday watching a couple of Woody Allen movies. Though they were from different parts of his career and set in different time periods, both showed the idly rich and overly liberal indulging in all manner of impossible and ridiculous behavior. In a lot of ways, Woody Allen characters are the kind of delusional upper middle-class bozos that most of us should really turn our backs on, their lives so separate from the average filmgoer that we can never hope to identify. Like a Vanity Fair article with punchlines. And yet this somehow works for Woody. In a way that otherwise escapes someone like Lawrence Kasdan, even though he has the same out-of-touch attraction to the type of people he might rub elbows with but whom the vast majority of us will never meet or, if we do, actually want to spend time with. Is it that a Woody Allen movie like Everyone Says I Love You or even his latest doesn’t attempt to sell us reality, but instead entices us with the notion that we can peek in on a fantasy world where everyone is smart and says pithy things and has jobs that very few might actually have? In his world, a sarcastic writer is on staff at the New Yorker; in Kasdan’s, Jeff Goldblum writes for (the) People. But he feels sick about it. Except he doesn’t. Perhaps it’s too late for me to finally see The Big Chill. I mentioned this to one of my colleagues, and he said, “But aren’t you a big fan of Grand Canyon ?” And, yes, I am, I have a soft spot for Kasdan’s next ensemble drama, but I’d also wager it’s been since 2001 that I last viewed the 1991 film, back when it was released on DVD for the first time, and I recall thinking that it was already showing its age back them. Yeah, yeah, sure, we’re all connected. One life flows into the next. That was Kasdan welcoming us to the 1990s. Whereas The Big Chill is fully set in the 1980s. Released in ’83, it is an apology for the Baby Boomers, an attempt to find soul in the infamously soulless decade. That’s why the music is all taken from the 1960s. No synthesizers are to be heard on this soundtrack--which famously established the notion of a moneymaking compilation album, impossible to replicate today without spending wads of cash, and yet ironically ignoring that many of its featured players, including the Rolling Stones and Steve Winwood, were not faring so well in terms of integrity on the time of release. Call me crazy, but I’d prefer a John Hughes movie any day. 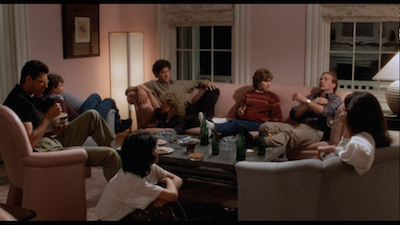 Sixteen Candles [review] was only a year away, was as ’80s as you please, and still looks as young as its characters some three decades later. Plus, screw you, the music is awesome and forward-thinking. Whereas The Big Chill has the same desperation of its thirtysomethings on their way to a mid-life crisis. Which I’m in the middle of, so maybe that’s why I can’t understand what they are whining about. Like I said, it’s too late for me to have empathy with these well-off nostalgia whores. I just can’t. Which doesn’t meant I can’t appreciate or even enjoy The Big Chill. As a time capsule, it’s fairly illuminating. 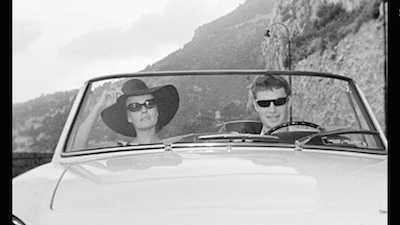 As cinema, it’s a precious snapshot of many fine actors at an early stage of their careers. 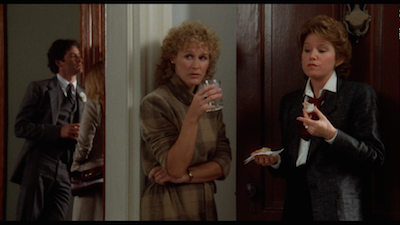 Kevin Kline, Glenn Close, William Hurt, and whatever happened to JoBeth Williams? Tom Berenger serves as a good parody of Tom Selleck, and Jeff Goldblum is laying the groundwork to be a parody of himself--and frankly, is the worst thing in this movie, the conduit for his auteur’s most sardonic and ultimately flaccid bons mot. 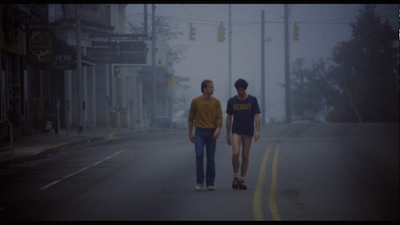 Yet, as period-specific ensemble pieces go, I actually enjoyed The Big Chill a hell of a lot more than Nashville, the appeal of which largely escapes me. I also prefer Tim Burton’s second Batman to his first. It’s all about expectations. For those who somehow missed this cultural touchstone--or maybe blocked it out of their mind, realizing it was for the old folk, because like me you were 11 when The Big Chill was first released--Kasdan’s movie takes a look at a group of college friends who have reunited after many years because one of their own (Kevin Costner, whose face is never seen) has killed himself. This starts them on an existential path where they play at a lot of denial before eventually digging into some of their own emotions. Amidst it all, they casually take some drugs, listen to old records, and talk about how good they have it. 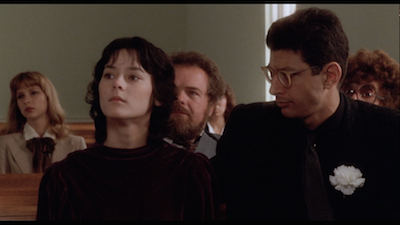 (Kevin Kline’s insider trading was treated as a running gag; Gordon Gecko was still four years away.) Except if you really look, they don’t dig deep at all. Their self-reflection is pretty shallow. Don’t hold your breath waiting for William Hurt’s character to ever tell you what he saw in Vietnam. It’s enough to know that he went, we can’t ever really hear the gory details. Psychology means evoking Freud, then downing the rest of your merlot. And yet, again, I must stress, The Big Chill is an enjoyable movie. I don’t think it’s a very good one, but it’s pretty easy to watch. Nobody really says anything offensive, they’re too busy living lives that are offensive. Because these folks are meant to be real, they are representative of their time, and not some recollection of a literary dream that their write/director once had. Lawrence Kasdan, unlike Woody Allen, has no idea how tiny his sphere is. These are his people, and he is them. And I’m guessing it makes for a relatively accurate representation of how people lived--or at least, wanted to--while Reagan was President. 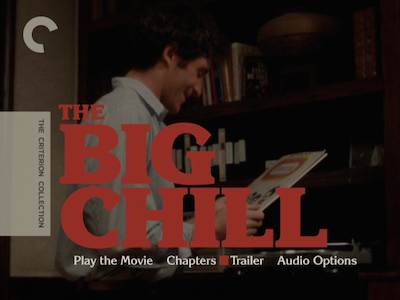 As a museum piece, The Big Chill is fascinating; as vital drama, it’s as cold as the title implies. Just know that going in, it might just keep you from leaving the party early. Here is a mini review of Richard Lester's Beatles film written for the Oregonian to promote the film showing in Portland this holiday weekend. See the original posting here. 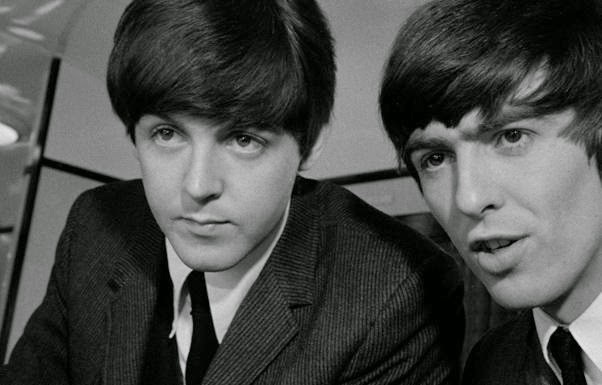 It’s hard to imagine now what an impact the Beatles had when they first twisted and shouted, but my guess is “A Hard Day’s Night” is a pretty good indicator. Richard Lester’s 1964 rock-and-roll vehicle showcases John, Paul, George, and Ringo as performers and personalities. It’s buoyant and fun, and packed frame to frame with joy. Plus, those songs! They still have no peer, even fifty years on. This new digital restoration means “A Hard Day’s Night” will look and sound brand new for the 21st Century. You’re just going to have to indulge outright that there is going to be some self-promotion in this one. It’s bound to happen from time to time. Happened before, will happen again. Sometimes the right paths just cross. 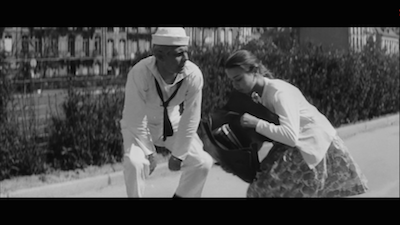 In this case, it’s some fortuitous coincidence that I just now watched the new Blu-ray of Georges Franju’s 1963 pulp homage Judex. This spiritual remake of Louis Feuillade’s 1916 silent cliffhanger features a mysterious, justice-minded magician (Channing Pollock) intent on making an ethically challenged rich man pay for his crimes. Its roots predate comic books, but Feuillade’s film, as well as his serials Fantomas and Les vampires [review], drew from and inspired the pulps, and then also inspired the comics industry as it blossomed to life. This Criterion edition even features a cover by artist Ronald Wimberly, himself channeling a little Eduardo Risso, bringing lurid life to Judex’s stonefaced crimefighter and his masked archnemesis. This viewing also happens on the eve of Oni Press releasing a comic book of mine called Archer Coe and the Thousand Natural Shocks. It stars a hypnotist in a classic domino mask looking to stop a murder plot involving a wealthy banker and his emotionally distant wife. Created with artist Dan Christensen, Archer Coe and the Thousand Natural Shocks draws on a long tradition of stoic heroes working their tricks in the dark, from the Shadow to the Spirit to Mandrake the Magician. 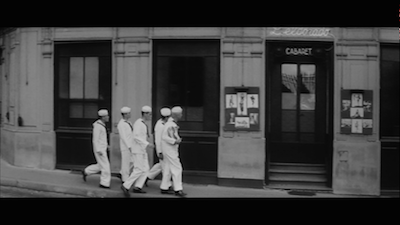 And yes, even to silent French cinema--or, in this case, 1960s French cinema. Even if it is just a startling coincidence. 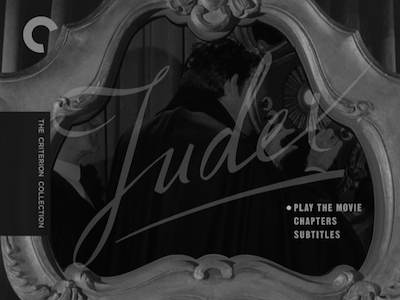 Though I had seen bits of Feuillade’s Judex while working in a video store, I wasn’t even aware of Franju’s until Criterion announced it was on its way. 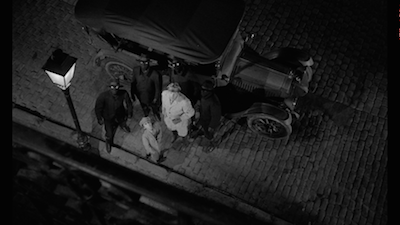 In my lead-up to Archer Coe, I was watching American noir like Edmund Goulding’s Nightmare Alley and Otto Preminger’s Laura ; judging by the evidence, it’s almost like I tapped into some Jungian story space to draw directly from the Judex redo, as well. The plot I’ve hinted at in the above is not much more complicated that what I’ve suggested. An oily banker (Michel Vitold) has started receiving threatening notes demanding he give up his fortune to the people he’s wronged or suffer the consequences. The threats are signed “Judex,” or “judge.” Believing himself untouchable, the banker refuses, only to fall down dead at the time his accuser appointed for him. 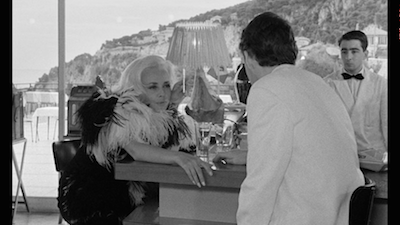 The victim’s daughter Jacqueline (Edith Scob, also in Franju’s Eyes Without a Face and Assayas’ Summer Hours [review]) inherits his fortune, but when she discovers the less-than-savory ways in which daddy earned it, she rejects the money, giving Judex what he sought all along. 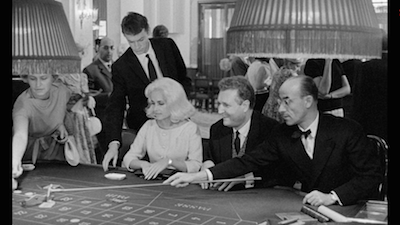 Meanwhile, the banker’s would-be mistress Diana (Francine Bergé, Mr. Klein ) wants the cash for herself and starts a plot to kill the girl and steal the riches. 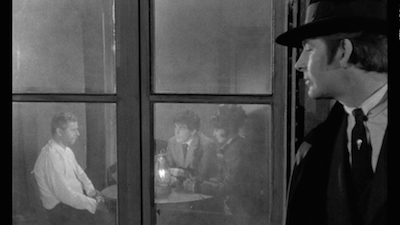 Mimicking the serialized nature of the silent original, Franju maintains an episodic narrative, allowing for an ineffectual private detective (Jacques Jouanneau) to wander in and out of the story, and for Diana to try multiple plots that all go wrong As these occur, Judex lingers around, keeping watch over Jacqueline and manipulating other lives in hopes of bringing about justice. In terms of action, he’s far from Batman. Rather, he tends to be too late and not much of a fighter when he arrives on the scene. 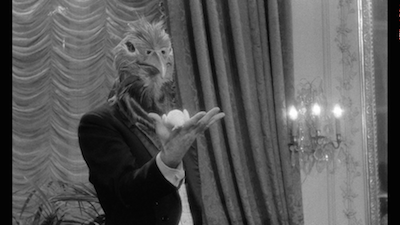 His only truly effective moment is early on when he first shows up wearing an elaborate bird’s mask at the banker’s party and performs magic tricks with doves. He appears there as a creepy specter bringing death to the condemned. It’s the closest you’ll ever get to having fun with this guy at a party. 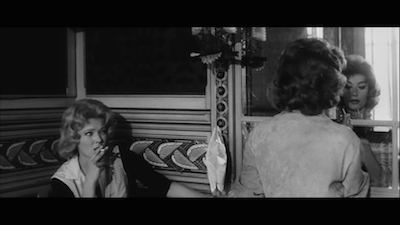 Which turns out to be a major drawback for Franju’s film. For a movie that features both a wicked villainess in a black catsuit and a pretty circus acrobat (Sylva Koscina, Juliet of the Spirits) who randomly shows up to help out, Judex is decidedly unsexy. None of the relationships have much sizzle, nor does the action really ever take off. Instead, this is like a drawing room approximation of a lurid murder mystery: perfectly poised, artfully styled, but maybe too self-aware and too smart for its own good. Maybe I’ll have to resurrect Diana for one of the future adventures of Archer Coe. 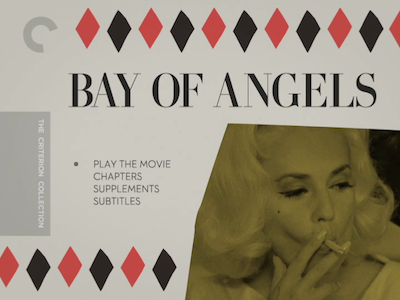 In addition to the sparkling restoration of Judex, Criterion has included a bunch of bonus features on their dual-format release. 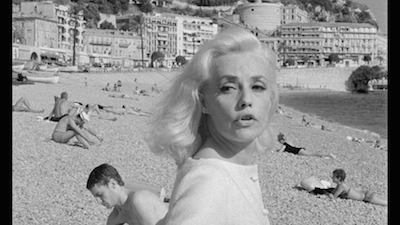 Amongst those are a recent interview with Bergé, a biographical profile of Franju, and two of the director’s early shorts. One of those, the half-hour Le grand Méliès, pays tribute to the legendary cinematic innovator. 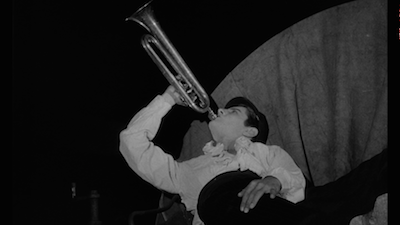 Like Feuillade, Méliès was one of Franju’s heroes, and this mini-biopic both tells Méliès’ story and adopts some of his techniques. 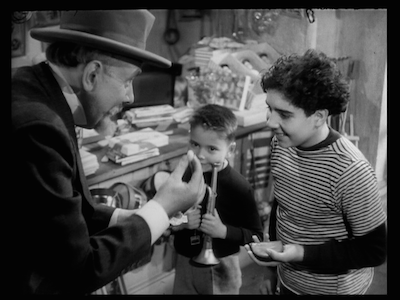 Featuring the filmmaker’s widow as herself, and their son Andre as his father, Le grand Méliès recreates the post-war years when the artist ran a toy shop in a train station (as seen in Scorsese’s Hugo ), one of his magical stage shows, and his journey as an early cinema pioneer, culminating in making A Trip to the Moon. 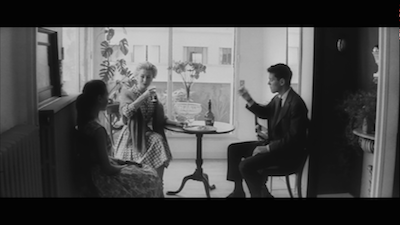 It’s a loving little doff of the cap from one director back through time to another.